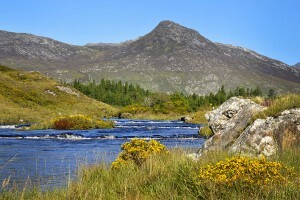 Connemara which can roughly be defined as the area north-west of Galway from Barna, Oughterard to Clifden and as far north as Killary Harbour is one of the most scenic regions in Ireland. 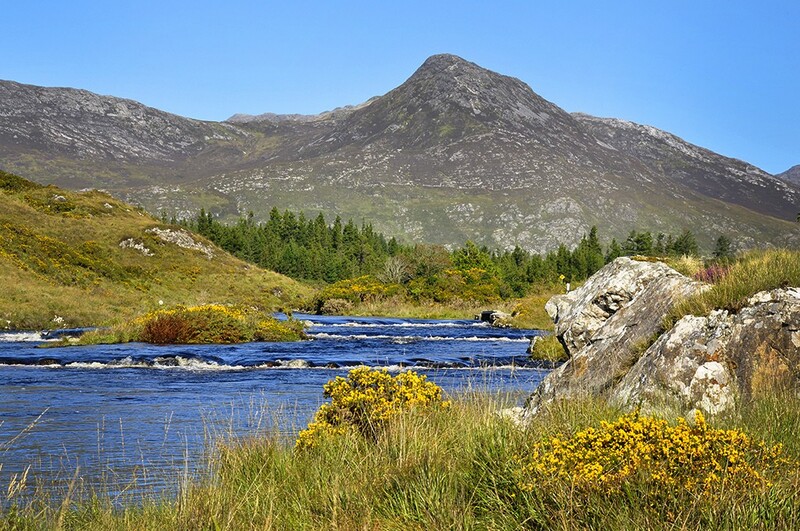 It is in many ways a very unique landscape with dramatic mountain peaks being dominated by the Twelve Ben Mountain range, expansive sandy beaches, rivers rich in salmon and sea-trout, and plenty of bogs with lakes strewn throughout. 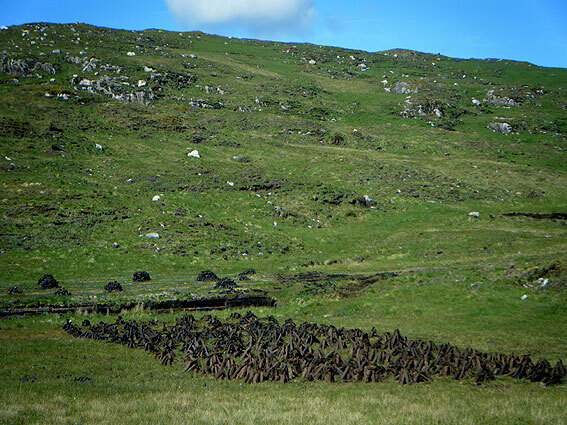 This leads to a dramatic contrast of sea, sky, land and bog, and you will be surprised at the changes in the landscape even after a relative short cycle. 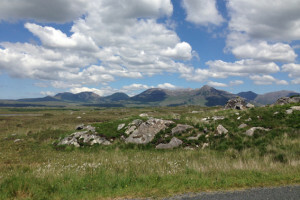 Connemara’s rich tapestry of history, culture and heritage is woven into the very fabric of the landscape and you can for example hear the Irish language still be spoken, not to mention the traditional Irish music and dancing (sean nós style) that is thriving in Connemara. 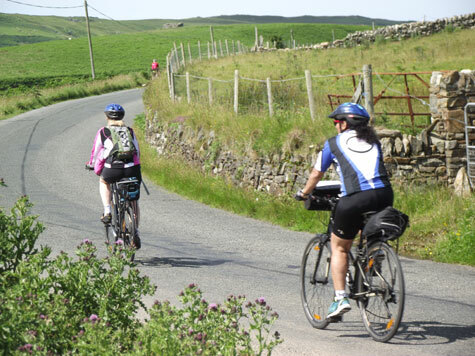 All of this you will be able to experience during your Ireland cycling tour. Arrive in the quaint village of Cong, location for the film “The Quiet Man” with Maureen O’Hara and John Wayne. Visit Cong Abbey founded in the 12th century as well as the Monk’s House. 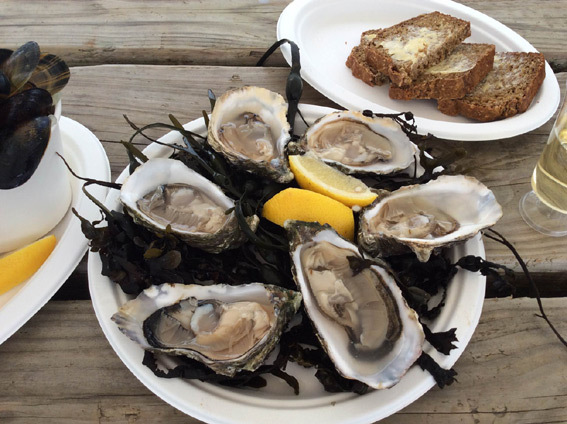 Ashford Castle Hotel on the shores of Lough Corrib invites you to enjoy cream tea in its magnificent setting. 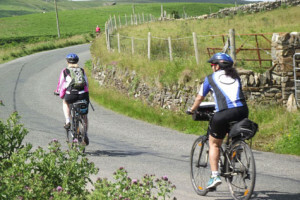 Depending on your arrival time we will meet you in the evening or the next morning for a personal introduction to your bicycles and the week ahead. 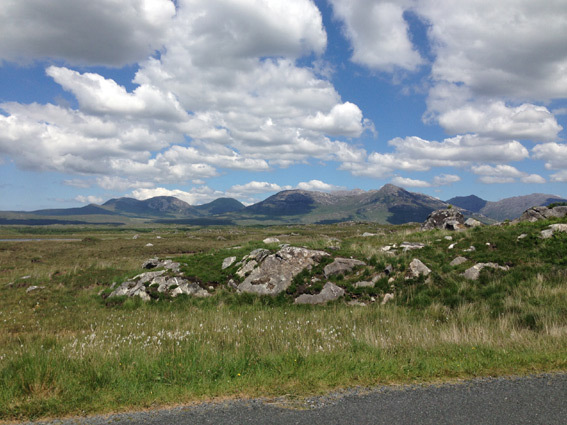 A beautiful and gentle day in the valleys of Connemara and Mayo on very quiet roads, as you cycle along the lakes of Lough Mask, Lough Nafooey and Lough Corrib. 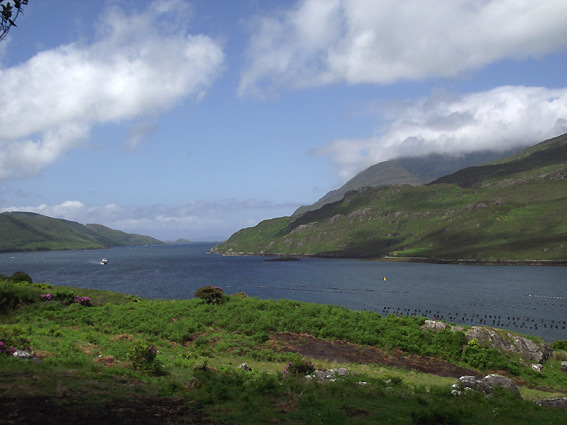 Finish the day with a great downhill to the beautiful village of Leenane located on Ireland’s only fjord, Killary Harbour. 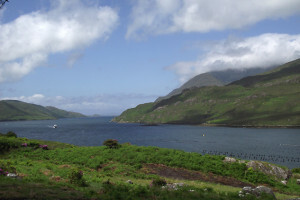 Leenane was the location for the film “The Field” with Richard Harris. 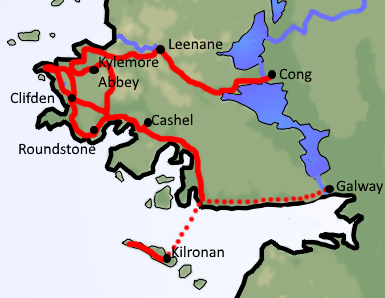 The cycle will continue along the indented south Connemara shoreline to the pier in Rossaveal for you to take the ferry to the island of Inishmore (the biggest of the 3 Aran Islands). 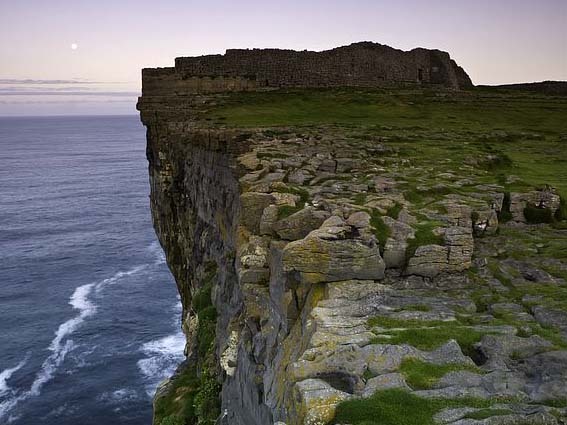 The island is very rich in historic and pre-historic sites and highlights include the cliff top fort of Dun Anghus, the semi-circular fort (there are 3 semi-circular walls) is over 3,000 years old and holds a special place in Irish mythology. 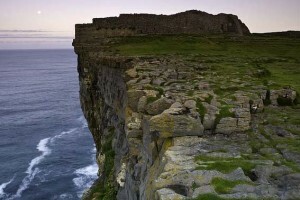 Less known is the Black Fort (Dun Duchathair) where you can experience some of the most beautiful cliffs on the island. Furthermore there are early Christian (starting with the 6th century) churches, monasteries and cemeteries. 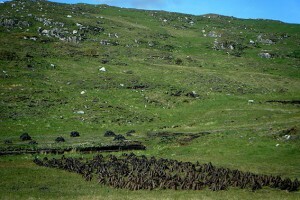 The island is famous for the knitwear that bears the Aran name. 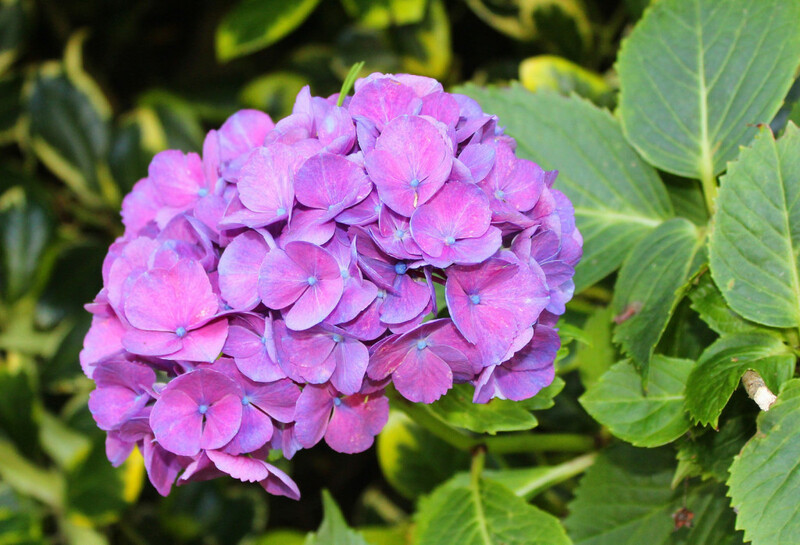 Spend the night on the island to get a feel for island life. 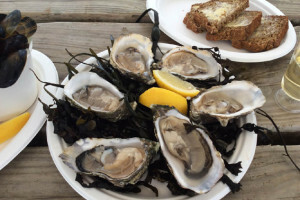 You can choose to spend most of the day touring the unique landscape of the island or if you prefer you can spend some time in the afternoon to explore bustling, historic Galway city, where you will spend your final night. 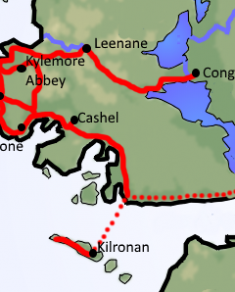 We will transfer you from Rossaveal to Galway for you to avoid cycling on the increasingly busy road. 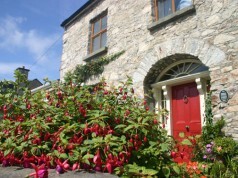 The home is in a wonderful location – just on the edge of Cong with easy walk into the village. 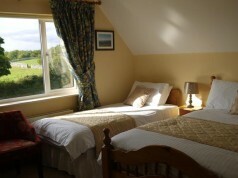 The setting is beautiful and the home and rooms are spotlessly clean, spacious, and comfortable. The breakfast with home-made bread and scones are outstanding and our guests are commenting on how delicious they are again and again.